Christmas is just a few weeks away. Winter Solstice festival (Dong Zi) is usually on December 22, but this year it’s on December 21. 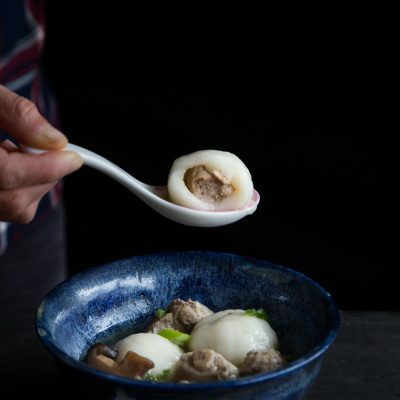 I posted Tang Yuan with Lava Peanut Filling recipe few days ago. 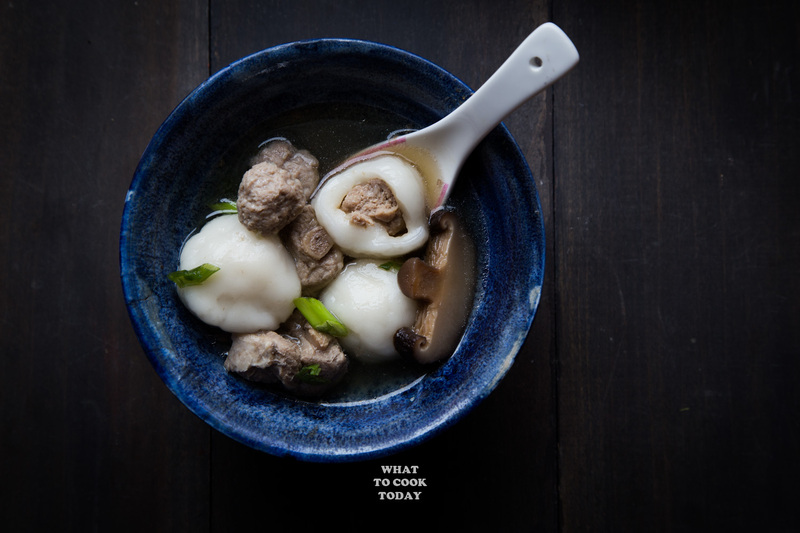 I need to share this Hakka Savory Meat-stuffed Tang Yuan too. 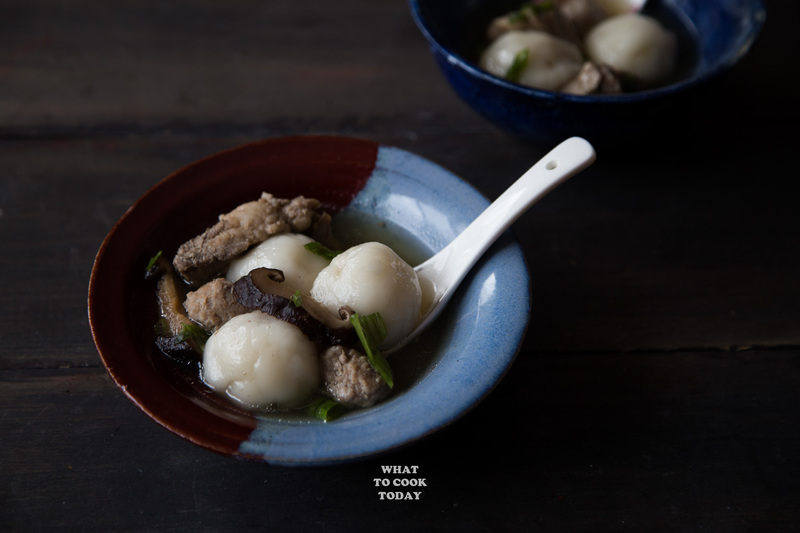 My mom never actually cooked Savory Tang Yuan before because she doesn’t like savory version. 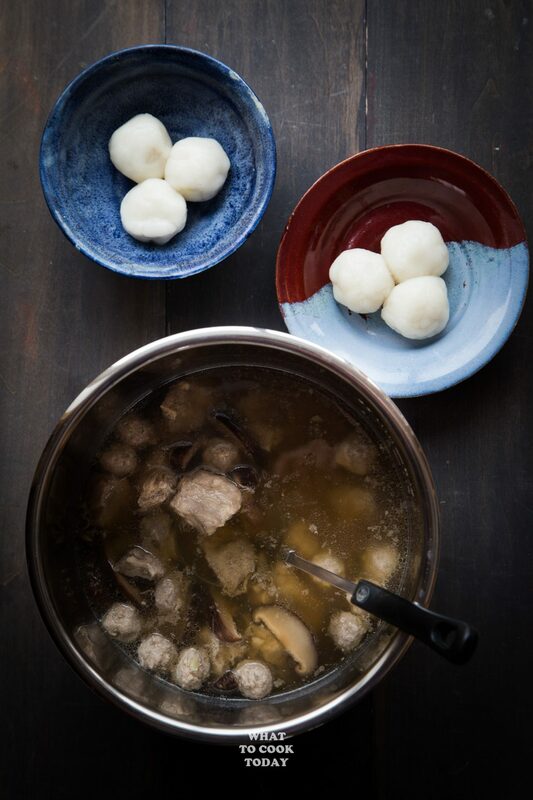 My paternal grandmother always prepares Hakka Savory Tang Yuan every year for Winter Solstice festival. I used to not like it as much too as a kid. 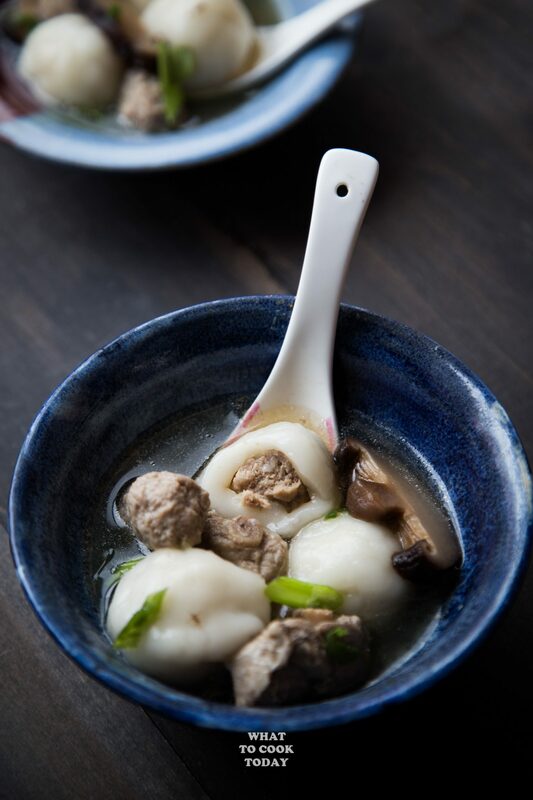 I thought it’s weird to eat savory tang yuan because mom always made the sweet version like THIS and THIS. 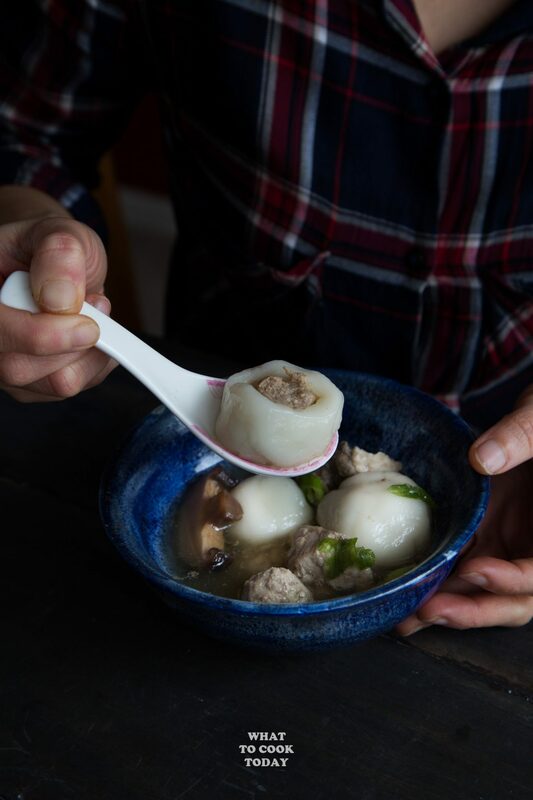 They say “Absence makes the heart grows fonder” is how I would describe why I made this Hakka Savory Meat-Stuffed Tang Yuan 🙂 I supposed I’m also on a mission to expose my kids to as many foods that I grew up eating as I can so that at least they won’t become total aliens when it comes to Asian and Southeast Asian food. 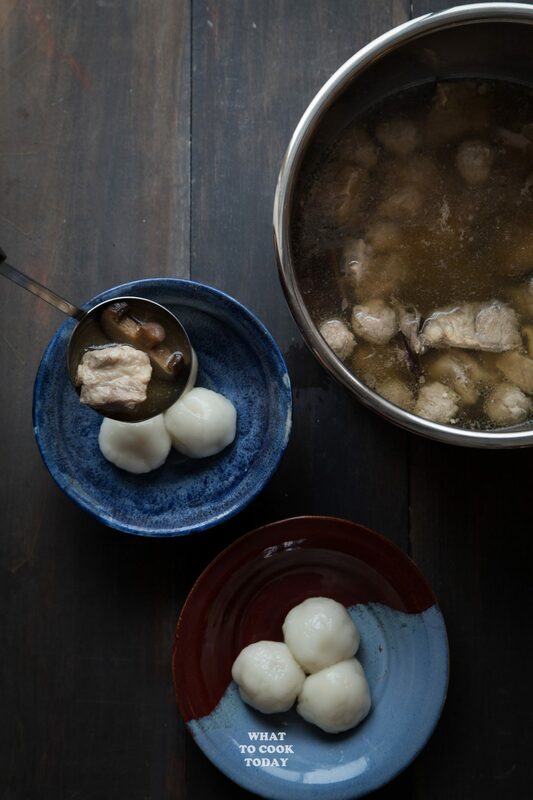 My mom usually does not use hot water to prepare the tang yuan dough, however, with tang yuan that is filled with either savory or sweet filling, it’s easier to work with the dough when they are mixed with hot water. It makes them more pliable and easier to stretch when you wrap the dough around the filling. 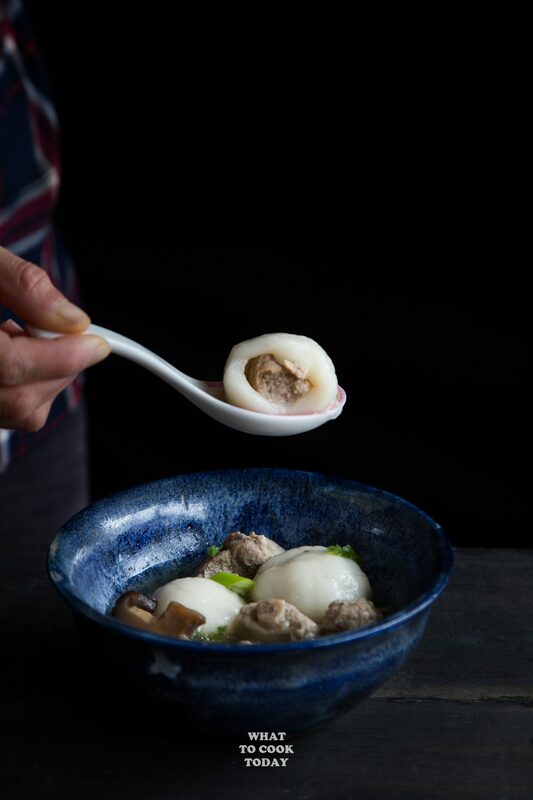 These Hakka Meat-stuffed tang yuan look like Asian fish balls, but they do not taste like one. 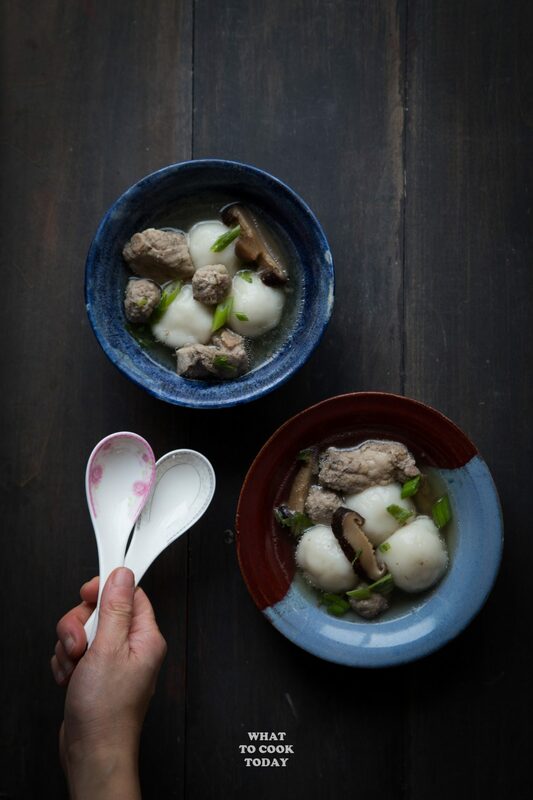 Asian fish balls are usually springy and firm. These are soft and chewy. If you have instant pot, making this is even more convenient. 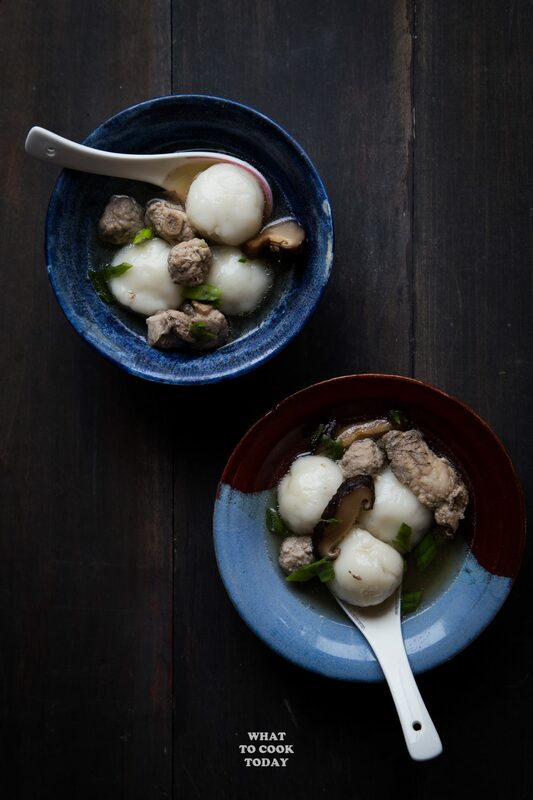 Soft and chewy glutinous rice balls are stuffed with savory ground meat and served with pork ribs and shiitake mushroom soup made with Instant Pot. thanks so much for posting this recipe! This is one of the many dishes I miss from Taiwan! Love your recipes!